Are you ready for summer? This is the home for you... there's a beautiful swimming pool on this property screaming for the sunshine, bbq's, and entertaining! This lovely home is well maintained and offers all the comforts of a cozy living space with a fireplace. The master suite is located on the bottom floor with an exit to the pool area. The master bathroom is spacious with a separate water closet and shower combo. Additional bedrooms are located on the second floor. Wait till you see the cozy kitchen with updated countertops and appliances. 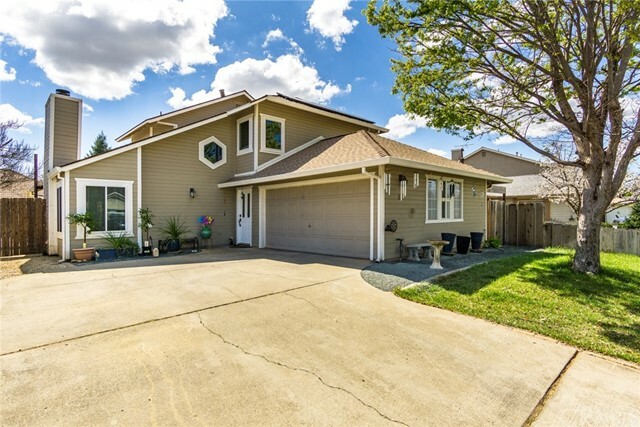 The home offers owned solar, new windows throughout house(except garage) in 2018, new roof 2015, HVAC original-rebuilt in 2017 and maintained annually by sears home warranty. Remaining portion of home warranty will transfer to new buyers, hot water heater is tankless, water softener system throughout house, pool serviced weekly. washer/dryer kenmore,dryer is gas, newer appliances in kitchen-stove, refrigerator, microwave. This won't last long with summer just around the corner!